Matt Hughes is a highly decorated professional mixed martial artist and a 2 time UFC Welterweight Champion. Hughes has a very impressive record in which he has put together two six fight winning streaks while fighting in the UFC and is tied with Chuck Liddell for the most wins by a UFC fighter with 16 wins. He has also won the UFC Welterweight championship title belt twice and has successfully defended his belt 7 different times. While Hughes is a well rounded fighter, his clear strength in his game is his amazing wrestling abilities. Matt Hughes announced in an interview just after his loss to Thiago Alves that he has one more fight left in him and that he wants it to be against his rival Matt Serra. Shortly thereafter it was confirmed that Hughes would get his request and was scheduled to fight Matt Serra at UFC 98. When the two stepped into the cage to do battle against one another, everyone knew it would be a great fight. As the fight went back and forth, it became evident that Hughes had control of the fight. The fight ended after three rounds and the judges scored the bout a unanimous decision in favor of Hughes. After the fight Matt Hughes and Matt Serra embraced one another and congratulated each other for their efforts. Hughes later posted in his blog this: “When the fight was over, I was pretty confident I was going to get my hand raised. Some people have asked why I raised his hand at the end. Actually I didn’t, he raised mine. He also told me that, no matter what the decision was, he was done with the rivalry”. The fight brought an end to a bitter rivalry that stemmed from the Ultimate Fighter 6, where the two were coaches opposite each other. Hughes was a part of the Ultimate Fighter as a coach opposite of coach Rich Franklin in 2005 for the second season of the TV reality series that airs on Spike TV. He also participated along side his long time friend and training partner Jens Pulver as an assitant coach for the Ultimate Fighter season 5. Just one season later, Hughes agreed to be the head coach for The Ultimate Fighter season 6 opposite of former UFC Welterweight champion Matt Serra in a set up for a highly anticipated fight between Serra and Hughes. Hughes was next set up to defend his welterweight championship title in a rematch against Georges St. Pierre at UFC 65 in November of 2006. St. Pierre looked to avenge an earlier loss to Hughes and was successful in doing so as he defeated Hughes by TKO due to strikes just over a minute into round 2 to take the Welterweight title belt back from Hughes. Near the end of the first round of the fight, St. Pierre landed a superman punch which sent Hughes to the mat where St. Pierre rained punches down on a stunned Hughes. When it seemed like the fight was sure to be stopped in the first round, the bell sounded signaling an end to the first round, saving Hughes from a stoppage to the fight. Nevertheless, St. Pierre came out fired up in the second round and ended the fight quickly with a head kick and barrage a punches and elbows that forced the referee to call the fight in the second round. Matt rebounded from his title loss on March 3, 2007 when he returned to fight at UFC 68 against up and comer Chris Lytle where he easily beat the youngster by unanimous decision as all three judges score the bout 30-27 in favor of Hughes. 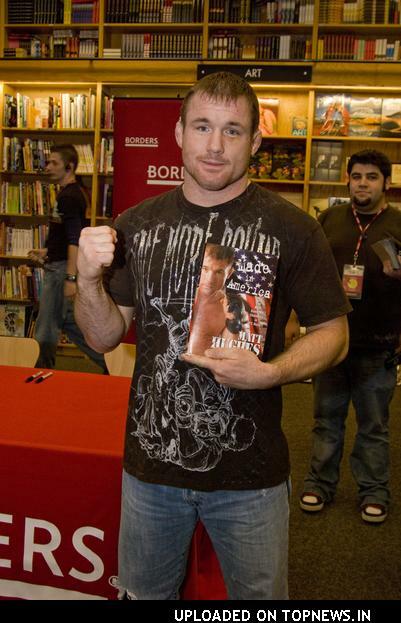 Matt Hughes was then scheduled to fight again for the Welterweight championship title against Matt Serra, since Serra had just defeated St.
Pierre for the title. The title fight was scheduled for November of 2007 but was scratched when Matt Serra suffered an injury that forced him to withdraw from the fight. So instead, Hughes was set up for a rubber match with St. Pierre which would also be for the interim Welterweight title belt. The rubber match between Hughes and St. Pierre took place at UFC 79 on December 29, 2007. Throughout the fight, Hughes was unable to put together any serious attacks on St. Pierre as GSP was able to easily avoid Hughes’ takedowns attempts and strikes while St. Pierre had a relatively easy time controlling the fight with numerous takedowns and ground and pound style. Late in the second round, GSP attempted to submit Hughes with a Kimura but Hughes was able to free himself but St. Pierre kept his right arm and twisted it into an armbar submission with fifteen seconds to go in the round. Hughes fought hard to prevent full extension on the armbar, but GSP had a good grip and forced Hughes to verbally submit with only seconds remaining in the second round. After the fight, Hughes praised GSP for being the better fighter and announced that he would be taking some time off to be with his family. Matt Hughes took a half a year off to rest, train, and be with his family until he took a fight in June of 2008 for the UFC event UFC 85: BEDLAM where he would take on Thiago Alves, a young Brazilian striker with a lot of potential and considered one of the best in the welterweight division. In this highly anticipated fight, Matt Hughes lost to Thiago Alves by TKO due to strikes early in the second round when the referee stopped the fight. Thiago Alves came out in the second round and landed a flying knee to the face of Hughes, knocking him to the ground and pinning Hughes’ left leg under his body, causing damage to the left knee of Hughes. Matt has voiced his opinion that his fighting career is in its late years and this was made evident by a speech Matt made after his most recent loss to St. Pierre at UFC 79, where he hinted at his retirement. His retirement plans are still unknown after he took the Alves fight shortly after bringing up retirement. Hughes actually suffered a torn MCL and partially torn PCL after Alves knocked him out with the flying knee. Matt Hughes returned to the UFC for his first ever UFC welterweight title shot at UFC 34 on November 2, 2001 where he would face welterweight champion Carlos Newton in what was a very entertaining fight. Early in the second round, Hughes got caught in a triangle choke by Newton and it looked as though Newton was in control and on the verge of winning, but Hughes lifted Carlos Newton in the air and power bomb slammed him into the mat. Newton hit his head upon hitting the mat and was knocked unconscious just before Hughes blacked out himself from the choke. After the fight ended, Carlos Newton said that he thought Hughes slammed him to the mat because he was going unconscious from the choke hold. Matt confirmed this after he watched a replay of the fight and saw that he told his corner that he was out cold. This win made Matt Hughes the new UFC Welterweight champion. Hughes would go on to successfully defend his welterweight title numerous times as he defeated Hayato Sakurai at UFC 36 by TKO in the fourth round and then beat Carlos Newton in a rematch at UFC 38 by TKO in the fourth round as well. Matt defended his title three more times by defeating MMA fighters Frank Trigg, Gil Castillo, and Sean Sherk; giving Matt a six fight win streak in the UFC and five straight welterweight title defenses, a difficult feat to accomplish in such a competitive weight class. Matt kept his title belt until he faced BJJ submission artist B.J. Penn at UFC 46 where Penn caught Hughes in a rear naked choke and submitted the welterweight champion and took the welterweight belt from Hughes. Shortly there after, the title belt was vacated due to a contract dispute between B.J. Penn and the UFC. At UFC 50, Matt Hughes took on Georges St. Pierre for the vacant welterweight title and beat the Canadian phenom with an armbar submission in the final seconds of the first round, giving Hughes the victory and the vacant UFC Welterweight title. After successfully regaining his welterweight title, Matt was challenged by Frank Trigg at UFC 52 on April 16, 2005. Early in the first round of their bout, Matt was accidentally hit in the groin by Trigg but Hughes was not given assistance from the referee because he had not seen the low blow occur. Trigg took advantage of a hurt Hughes by attacking Hughes with a flurry of punches that put him on the mat where Trigg followed him to the ground and proceded to pound Hughes with a ground and pound attack. Trigg moved to a rear naked choke submission attempt that lasted nearly 2 minutes until Hughes was able to break free from Trigg’s grip. Hughes then picked Trigg up, carried him across the mat and slammed him into the ground where Hughes proceded to ground and pound Trigg before locking him up in a rear naked choke of his own to seal the victory. Hughes won the bout via submission from a rear naked choke. Hughes was next scheduled to fight at UFC 56 against Judo student Karo Parisyan but Karo suffered an injury and was replaced by Joe Riggs. This fight was originally scheduled as a title fight but Riggs was unable to make weight because of the short notice he was given before the fight so the fight was announced a non-title fight. Title fight or not, Hughes came prepared to do battle and beat Joe Riggs easily in the first round with a kimura submission. Hughes next took a non title fight, catch weight bout with Brazilian Jiu Jitsu legend Royce Gracie at UFC 60 in May of 2006. Hughes controlled the fight from the beginning and put Gracie in an armlock from the side mount. Although Hughes had the submission lock in place, Gracie refused to tap out and Hughes chose not to break his arm and released the hold. Shortly after Hughes ended the fight with a barrage of punches that forced the referee to stop the fight and declare Hughes the winner by TKO. Matt Hughes fought a number of times before he broke into the UFC spotlight. He got his MMA career off to a good start fighting in amatuer fighting associations such as Jeet Kune Do Challenges, and the Extreme Challenge. Hughes built up an impressive record of 8-1 before earning a chance to fight at a UFC event. The only loss he suffered during that time was a loss to Dennis Hallman just 18 seconds into their fight when Hughes got caught in a guillotoine choke in the championship round of the Extreme Challenge 21. Matt Hughes first stepped into the UFC fight ring at UFC 22 where he faced Valeri Ignatov on September 24, 1999. Matt Hughes proved to be too much for Ignatov to handle, as Hughes beat him with relative ease, scoring a unanimous decision from the judges score cards. After his first victory at UFC, Matt Hughes went back to the Extreme Challenge fighting association where he continued to fight, win, and gain valuable experience. He won nine fights in a row before he returned to the UFC on June 9, 2000 for a fight against Marcelo Aguiar at UFC 26. Matt defeated Marcelo with under a minute to spare in the first round by TKO due to a cut. Matt Hughes again went back to other fight promotions between his UFC bouts where he again picked up a number of wins before returning to the UFC for UFC 29 where he was given a rematch against Dennis Hallman, the man who gave Matt Hughes his only loss of his career up to this point. Once again, Matt Hughes would find him on the losing end against Hallman, as Matt suffered his second loss of his career to the same fighter. Matt was defeated only 20 seconds into the match, as Hallman submitted Matt via armbar in the first round at UFC 29. Matt once again went back to other fight promotions where he fouhgt 8 more times before returning to the UFC where he would stay for good at UFC 34. Matt Hughes was born on October 13, 1973 in Hillsboro, Illinois. Matt has two siblings, a sister and a twin brother named Mark. Matt and Mark spent most of their childhood growing up on their family farm and helping the family around the farm. When they entered high school, they both played football and wrestled. Matt became a wrestling phenom while at high school in Hillsboro, winning the 145 lb. Class A Illinois High School state championship back to back in 1991 and 1992. Matt then went to a two year junior college at Southwestern Illionois College for his freshman year but soon after transferred to Lincoln College in Lincoln, Illinois for his sophomore year of college. During his freshman and sophomore years of college, Matt made the junior college NCAA All-American team both years. Hughes then transferred to Eastern Illinois University a division 1 college in Charleston, Illinois. While there, Matt became a two time Division 1 All American wrestler, and finished in 8th place in the nation his Junior year and 5th place in the nation his senior year. 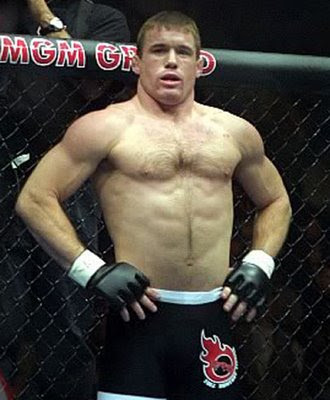 Later in his career, Matt Hughes was invited to the very prestigious ADCC Submission Wrestling World Championships where he competed in a total of 4 matches, winning 2 and losing 2. These four matches consisted of wins over Ricardo Almeida and Jeremy Horn, and losses to UFC greats Jeff Monson and Tito Ortiz. 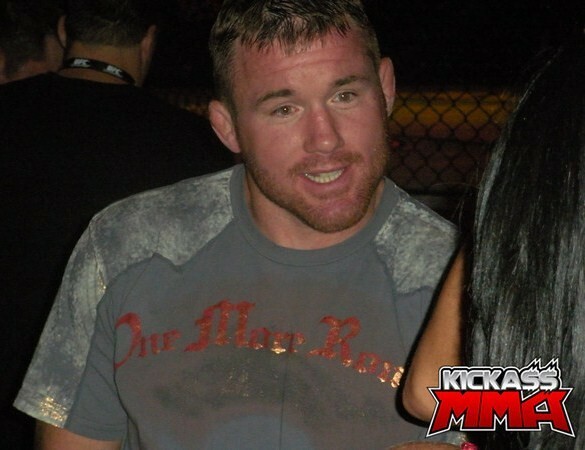 Matt Hughes is married to Audra Hughes and together they have one daughter. Both Matt and his wife have a son from their previous marriages and they are expecting their second child together shortly. Matt has recently published his autobiography which is titled ‘Made in America: The Most Dominant Champion in UFC History.